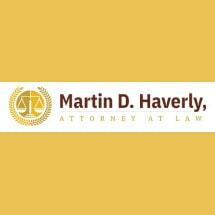 Martin D. Haverly, Attorney at Law, I focus my practice on cases that affect individuals and their rights. From personal injury to employment law and civil litigation, I know how to approach a case, devise a solution, and secure my clients' interests through mediation, arbitration or litigation. You can trust that I will remain aware of your immediate goals and future interests from the beginning of your case to its final resolution. I am conscientious of your needs and determined to achieve optimal results on your behalf. Call (302) 994-2255 today or contact me by e-mail for a consultation to discuss your case. I started my practice in 1993 with a focus on individuals and their rights. I know that you are faced with serious financial and emotional challenges after an injury or when there is a conflict with your employer. Any legal dispute, especially if it results in litigation, can be very difficult for clients and their families. I am committed to helping my clients vindicate their rights in these complex and stressful situations, even against government agencies and corporate defendants. Many of my clients come as referrals from attorneys and former clients who trust my experience and results. Let me put my skills to work for you. At every stage, I assess my clients' individual needs and interests and tailor a unique resolution to the demands of the case. I am a strong believer in mediation, understanding that a dispute resolution out of court can save clients' time and expense while preventing unwanted attention. However, in many cases litigation is necessary, and I am fully prepared to take any defendant to court.